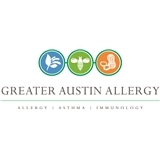 Greater Austin Allergy Asthma & Immunology (Austin) - Book Appointment Online! Be sure to take your ZocDoc completed forms with you! They are unable to download and I failed to take it with me. I arrived a little early and was taken in before I had even finished my paperwork! The staff was great, and Dr. Reshamwala was very knowledgeable. She explained my problems well, explained how the treatments worked, and how to use them. I learned a lot and she took the time to make sure I understood.